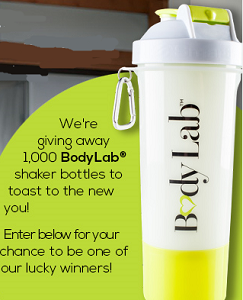 Enter for your chance to win the Free BodyLab Shaker Bottles Giveaway! 1000 bottles to be given away. Promotion ends 1 April, 2015.